Since the 1940s, Brits have been pairing towns with fellow counterparts worldwide in order to encourage trade relations and tourism. Money saving website Voucherbox.co.uk has dug deep and compiled a list of the most interesting pairings. From rural Dull in Scotland being twinned with Boring in the States and Bland in Australia, to glamourous Le Mans, home to the prestigious French grand prix since the 1920’s, being paired with Bolton. Most of England’s twin towns are in France and Germany, with West Midlands towns mostly twinned with those from the United States. Some pairings are a match made in heaven while others require a little more use of the imagination. Here we look at some interesting twinning (or ‘tripleting’ in some cases) and what they have (or don’t have) in common. 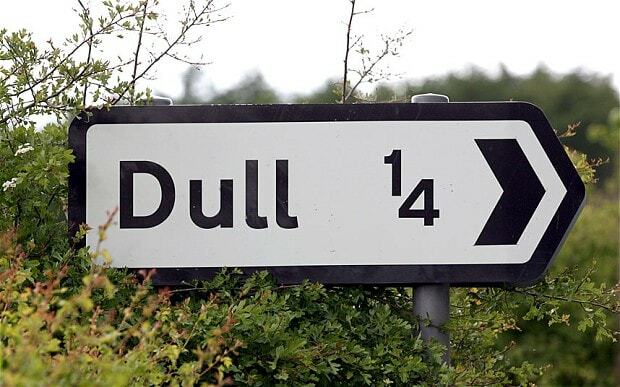 Dull, Boring and Bland are three small towns in the U.K, U.S and Australia whose pairings proceed them. Each town often holds annual twinned city days, celebrating each others name sake and designing souvenirs that poke fun at their mediocre names. In a contrasted pairing, Bolton is twinned with Le Mans– the home of French Formula 1 and the luxuriously named Bugatti Circuit. These two towns don’t have much in common and their residents lead very different lifestyles. Swindon, a small town in Wiltshire which boasts an average temperature of 10°c and 1,600 hours of annual sunshine a year was paired with Walt Disney World, boasting temperatures of up to 43°c with 3,200 hours of sunshine. Walt Disney World is home to the Magic Kingdom and Disney’s Cinderella Castle, while Swindon boasts a health centre where in 1892 a doctor could prescribe a haircut or a bath to a patient, which interestingly went on to become a blueprint for the NHS. The towns partnered for a 12-month period in 2009. It isn’t just towns which are benefiting from a reputable twin, it’s cities too. Birmingham the UK’s second biggest city is flattered by it’s pairings with Chicago the birthplace of President Obama and hip and happening rapper Kanye West. Meanwhile in the north, Liverpool, famous in it’s own right thanks to the likes of the Beatles and Cilla Black enjoys a twinning with the likes of Shanghai and Rio De Janeiro, the home of carnival in Brazil. London also has its fair share of credible twin towns which include Kuala Lumpur in Malaysia and China’s most populous city Shanghai. If you go down to Wincanton in Somerset today you can wander down Peach Pie Street and Treacle Mine Road, named after Sir Terry Pratchett’s famous fantasy series Discworld. Pratchett himself visited the town to unveil the road names at a new housing estate. Wincanton was twinned with the city of Ankh-Morpork from the novels in 2002, becoming the first UK town to link with a fictional place.